A two-act play with the playwright as the only actor throughout. He appears as an old man in his 80s, slumped in a wheelchair in his senior citizens’ home. In Act 2, he appears as a presumably vigorous young man, dressed in short-sleeved sports shirt, slacks and sun-glasses, and riding a bicycle. The complete contrast in roles illustrates the versatility of Gilkes virtuoso performance. 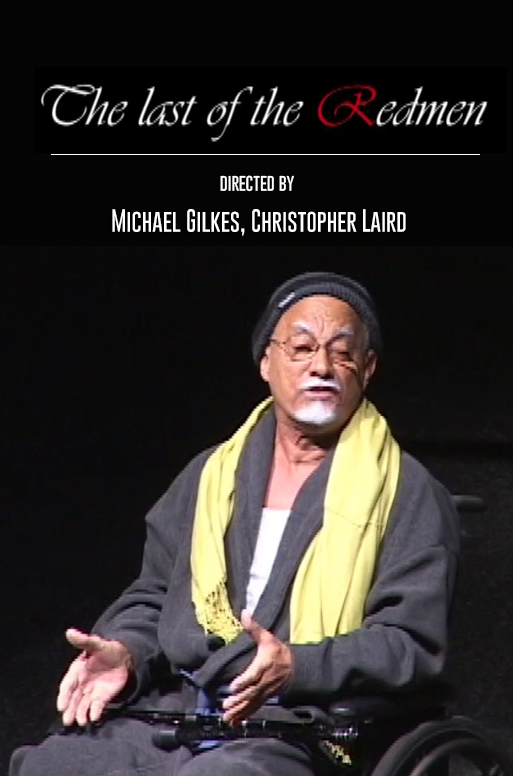 (From review by Frank Birbalsingh, 2007) Michael Gilkes’ play The Last of the Red Men won both the Trinidad and Tobago National Association Cacique Award for best drama production in 2006, and the Guyana prize for drama in the same year. An old man in a wheelchair speaks to an invisible news reporter who listens as his story unfolds.